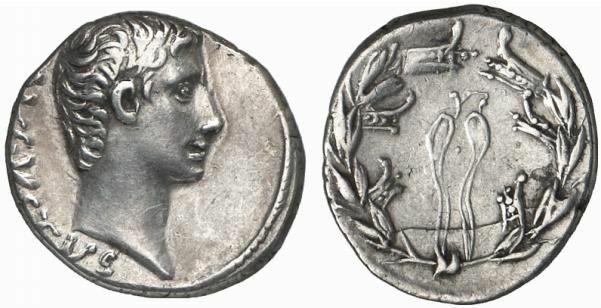 Denarius, struck 21 BC in north Peloponnesian mint (?). Obv. : AVGVSTVS, Augustus head, bare, r. Rev. : Laurel-wreath intertwined with prows (corona rostrate), the ties arranged centrally. 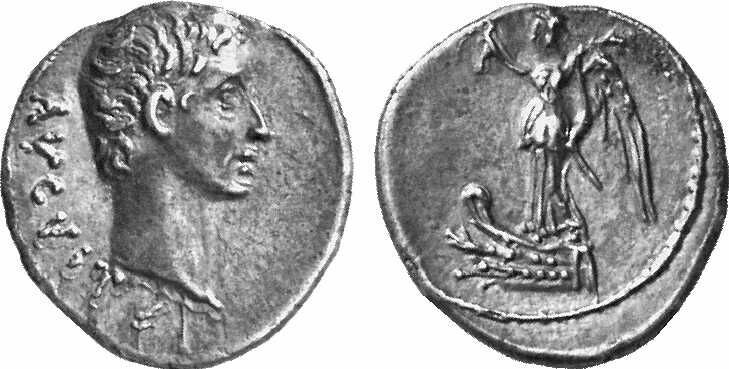 AR Quinarius, struck 21 BC in north Peloponnesian mint (?). Rev. : Victory stg. l. on prow, r. holding wreath, l. palm. Aureus, struck 19-18 BC in Pergamum.